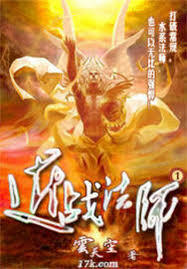 Close Combat Mage (近戰法師/近战法师 Jin Zhan Fa Shi) is a Chinese web novel written by Cloud Sky (雲天空/云天空 Yun Tian Kong) on 17k.com. It is complete at 790 chapters and 2187807 words. It belongs in the Qihuan (‘Strange Fantasy’) category as a type of ‘Western Fantasy’. Disclaimer: I do not own Close Combat Mage, nor do I make profit off of it. All rights belong to its original author, 云天空. The only thing that I own are my translations. Please do not re-post this content anywhere. First things first, translation is very good, props to Taffy. -eg. “as the 2 water balls collided they both fell apart” – (then not 2 paragraphs later) “as one water ball was bigger it took many shots to hold it back” and this is a weak example just the one most fresh in my memory. 1.5. Character inconsistencies: main character (having received no education + being a total shutin at the start) constantly switches between being an 8yo with PhD level intelligence in things like biology, economics, History and swindling to being completely inept at things only when convenient to the story, and much more but moving on. 2. Names or there lack of: I’m not sure if the Author is just Realllly lazy or if they just don’t care because as it looks from other reviews most of the current character don’t even matter. But by my very rough estimate there is only maybe 6-7 characters with real names that don’t mysteriously need to be changed eg. Xue er and Selena? (guess Aimi and Aier were easier to remember so to hell with it ill just change them in the middle of the book)<–really pissed me off. Everyone else is just a number. Maids 1-6, wind fire girls 1-36, and so on (makes the MC just seem like a total asshat to me, as he can remember complex spell formulas and entire books in the library in mere hours but when it comes to his slav….friends their names don’t matter. Short Version :Good translation, Interesting story, Terrible, Horrible, No Good, Very Bad Author.